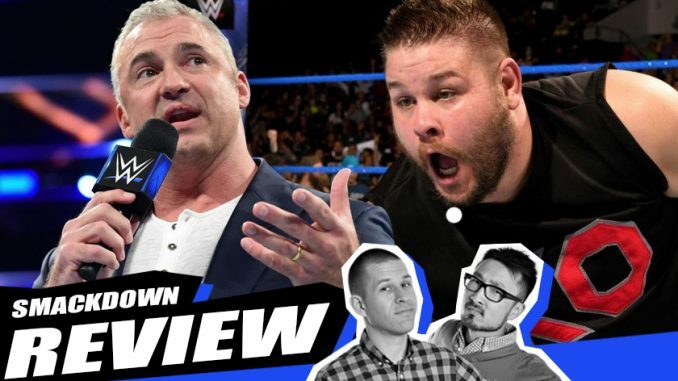 As they embark on their future endeavours, John Pollock (@iamjohnpollock) & Wai Ting (@wai0937) review the October 31st, 2017 edition of WWE SmackDown featuring Shane McMahon naming himself Team SD Captain, the addition of two more to the team, Strangerer Things featuring The Fashion Police, a Halloween edition of 205 Live and more. John also discusses this past weekend’s Lucha De Los Muertos event in Toronto featuring the return of Jimmy Jacobs. Thank you for finding us. Thank you for your kind words. Follow us on Twitter to see where we’ll pop up next.